My favorite spy, we won't name any names...just sent me this FAB Balmain Clutch arriving for Resort SS13, which basically means you greedy peeps won't be able to get your hands on for at least 6 months. 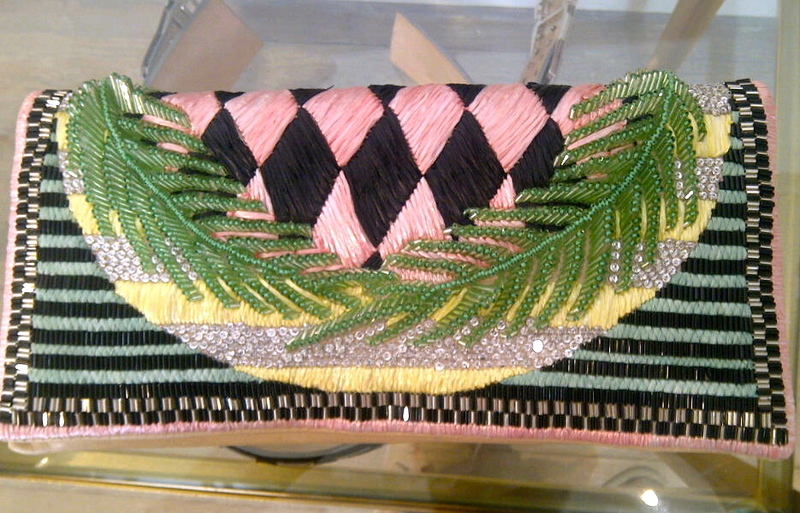 Balmain never dissapoints, and this embroidered raffia clutch with crystal beaded "palm leaves" has left me a bit titillated. I LOOOVE the tropical theme, perfect for a night out at...well anywhere cause you'll be the Shizzle. If you can wait, my spy confirmed it will arrive at The Webster Miami in a couple of months, or if you just love the style and don't want to wait, could I suggest this Charlotte Olympia Zip Up Flamingo Pouch to tide you over. I need a Charlotte Olympia lucite clutch in my lie. How can I make this happen? Totally, super adorable, and if you look at it now, it’s right side up, oops, apparently i had it upside down!